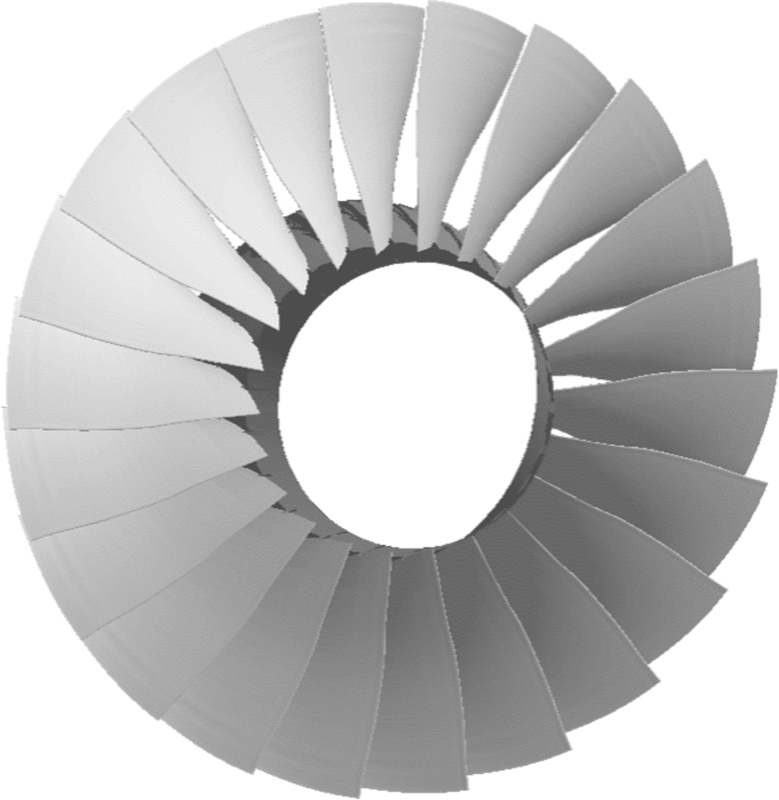 The CENTAUR Cloning Tool offers the capability to generate efficiently meshes for repetitive geometries. 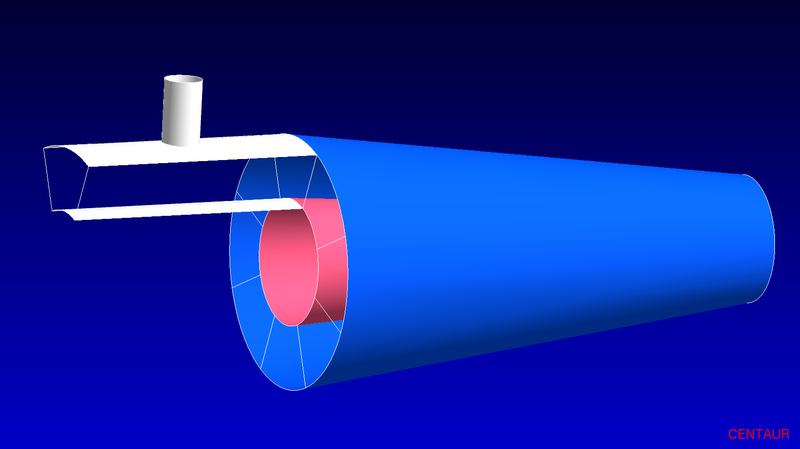 The mesh is generated only for a base part and then it gets cloned. 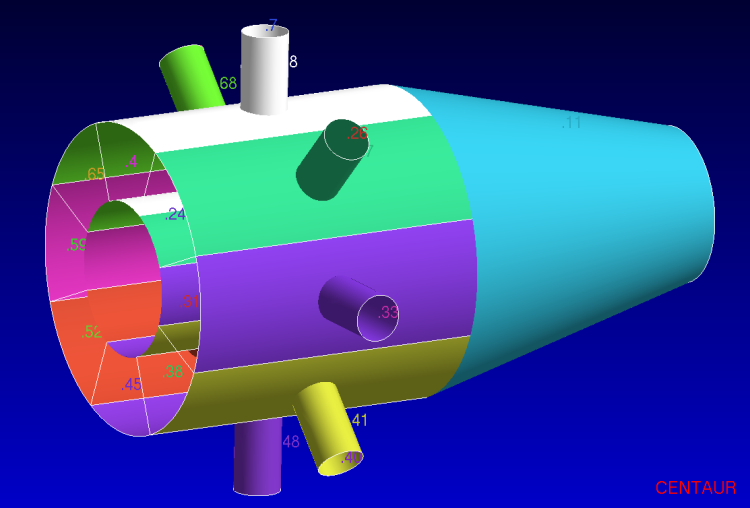 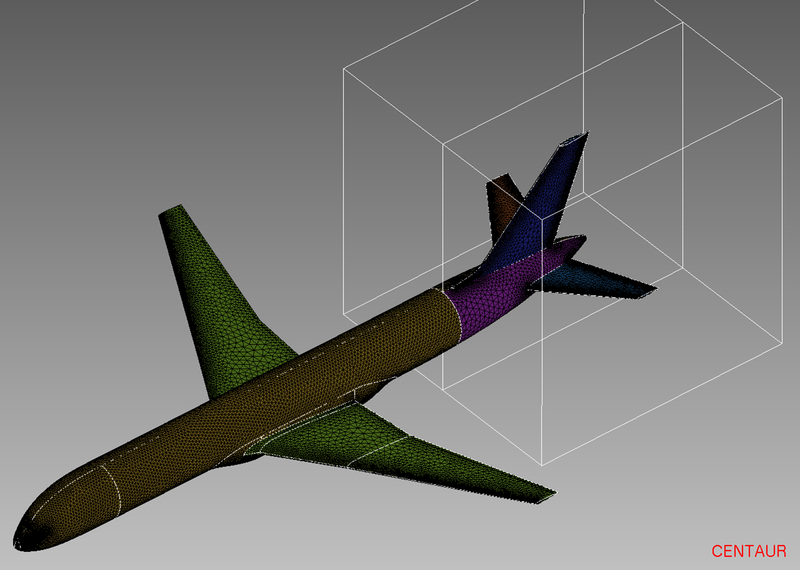 The mesh for the fuselage and the wing (symmetric geometry) is generated for the base parts (left side) and then it gets cloned (right side). 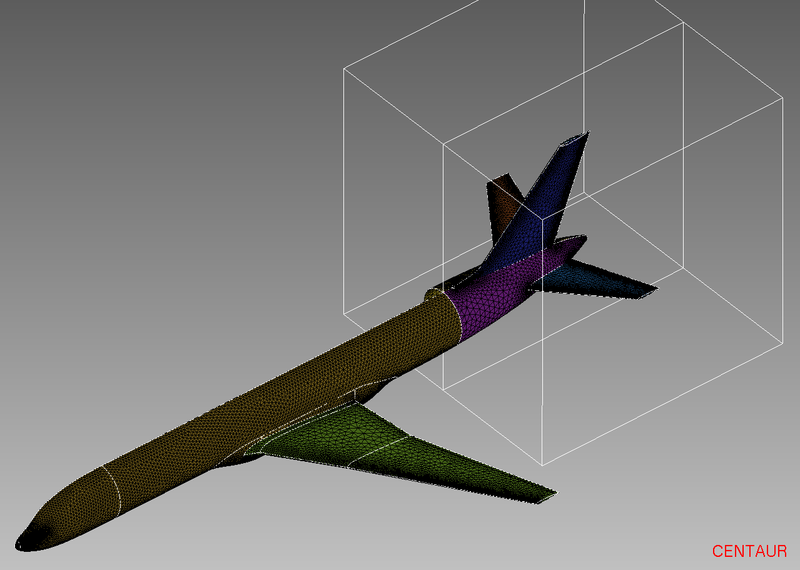 The mesh for the tail geometry, which in general could be an asymmetric configuration with a deflected rudder, is independently generated.